Wow, January has been a very productive month here at our house! Mostly due to the fact that I have been at home for snow days more than I have been at work. I work in a middle school, for those of you who don’t know. Here is a review of what has been happening around here this month, you know, just in case you missed something. I guess maybe some people may not have been hanging on my every post. Shame on you if you are one of them! I started off the month by sharing my Goals for 2014. And I am happy to announce that I already have two of the goals completed and two of them half finished! 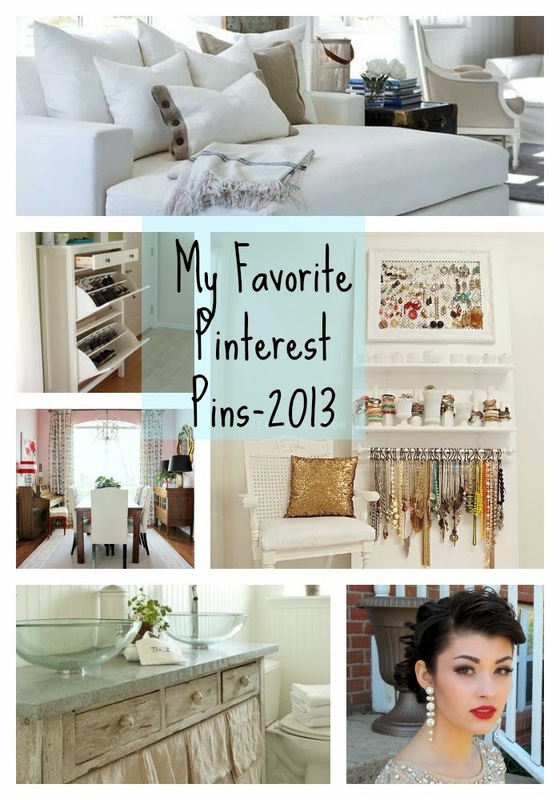 I shared my favorite Pinterest pins for 2013. I finally got rid of the dreadful mini blinds in our living room, and hung curtains. Now all that is left to do is to purchase and hang bamboo blinds. I shared What I Wore Wednesday here, here and here. I organized my pantry for free. I hung shelves over our desk. I also did a couple of small DIY projects in the desk/shelves area. I made a kitschy little DIY tray from a Goodwill find. 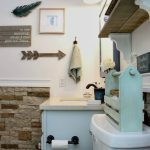 I share my vintage buffet, and asked for some advice on how I could breathe some fresh new life into it. 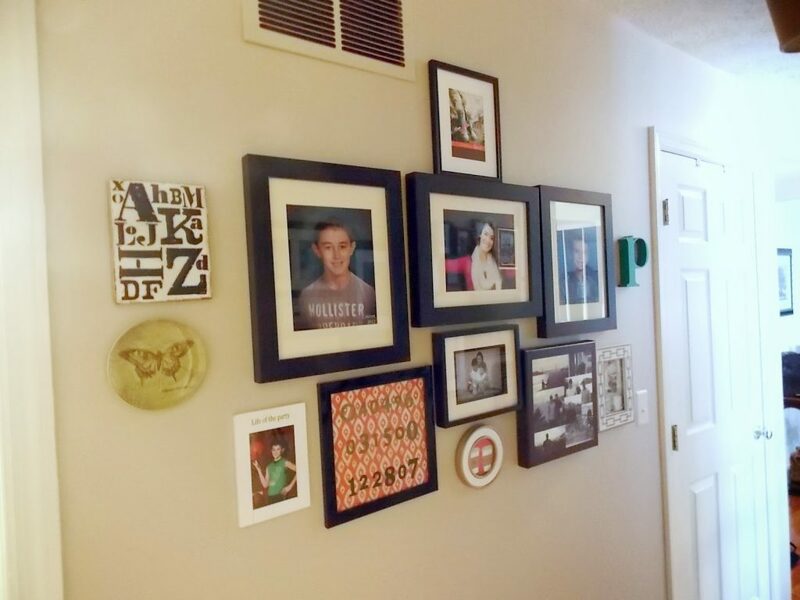 I painted my hallway walls and trim, and I rehung the gallery walls. And last but not least, I shared Miss 17 Year Old’s bedroom as it looks right now. That about sums up January around here, except I do have some other projects that I did complete, but haven’t gotten around to revealing on the blog yet. They will be coming in February.